With a career that has involved overseeing projects as diverse as the delivery of the 2010 World Cup hospitality program at the Cape Town Stadium, to optimising the technical infrastructure and help desk support for massive mines under construction in very rural Brazil; from the glamour of a Pavorotti concert to the efficiency of banking IT to the heat and grime of a steel foundry…not many people know what Lance is actually doing at any point in time. Lance included. But there are sure to be theories, process flow diagrams, bullet point emails and spreadsheets…even if just to let you know where the toilet is. Underlying it all is a passion for customer loyalty – a nice smile from the service department is the front of a building that has customer focussed product design and efficient consistent operational delivery as its foundations. A beer from a cooler box after an awesome run on flowing single track, or a flute of champagne set against the sun setting over a waterhole in the Kalahari, follow the same form. Lance has some amazing friends doing critical work in conservation. He has been able to catch Springbok by hand, monitor the breathing of a sedated white lion while the rest of the pride looked on menacingly, tag and release sharks, and assist with getting a rhino pregnant (no, not like that)…and so much more. Given half the chance, he’ll get you assisting with conservation work while you are on a Runcation. Somewhat of a nutty professor in the kitchen, Lance will do anything not to have to consume another energy gel in his life. Having through this learned to actually enjoy the taste of spirulina, Lance has a theory that if you eat enough of something you will learn to enjoy it. He hasn’t eaten enough Brussel sprouts yet. During his running career Lance finished consistently at the front of the middle of the pack. While he has ticked off a few ultras, he is more interested these days in shorter and faster, and running to explore. He gets hot in the African sun, so he’ll include a swim somewhere in a run if he possibly can. As a sideline he route marks UTCT and UTD, so knows the trails backwards and can give you some solid advice on race strategy. Be careful though…one of his favourite lines is ‘that section is very runnable’. Others are ‘that’s pretty much our last climb today’, ‘come swim, I promise you it’s not cold’ and ‘here, try some, you can’t even taste the spirulina’. He favours wide open spaces and the road/path/trail less travelled. He likes to do. He also likes to sit and reflect over a beer on what he just did. He thinks this is a nice life philosophy. 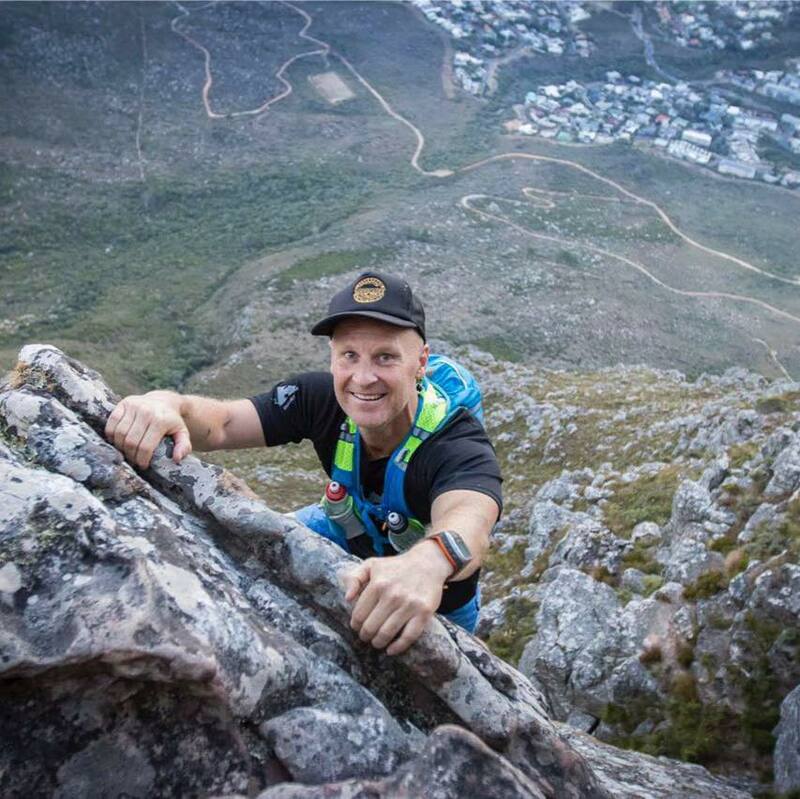 Born and raised in Cape Town, Luke is equally passionate about traveling and running, in South Africa and beyond. He studied graphic design and during this time was exposed to the travel industry as a river guide. With many years experience in the front line of the tourism industry to call on, Luke knows all about service and what makes the difference to travellers’ experience being average or incredible. He now spends his time planning journeys, adventures and holidays for inbound travellers to Africa. Luke will assist you with putting together a fantastic itinerary for your visit. His local knowledge and vast experience of Southern African travel puts him in the perfect position to be able to advise you where to go and when. In his spare time, Luke enjoys hanging out with his family, exploring the inner city of Cape Town, browsing junk stores and Milnerton Market. He also has a bit of a running addiction, loves good coffee and has a weakness for fresh croissants. When he is not in the office you will probably find him running up a mountain or surfing somewhere along the Cape Peninsula. He may not be fast, but he can run all day. A veteran of many ultra road and trail marathons, Luke's slightly obsessive immersion into the world of running is evident when you talk to him about the any aspect of the running world. He absolutely loves getting out in remote mountains and is most at home on perilous scrambly ridges, high up, with big open vistas. Sky Run 100k, UTCT 100k, The Hobbit 100k, The Otter. Jonkershoek, Table Mountain, Witteberg, Kogelberg.